Club Aliante - Club offers golf course, pool, tennis, basketball courts, fitness room and guard-gated security. MLS#2082177. Keller Williams Realty Las Vegas. San Destin Palazzo At Aliante - No Trespassing. Do Not Disturb Any Occupants. MLS#2082777. Real Estate of Las Vegas. 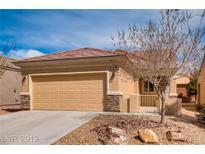 Casa Del Norte - Near Shopping & School Areas! DO NOT MISS OUT! MLS#2082775. 24 Hour Real Estate. Sun City Aliante - Community Features: Indoor pool/spa, fitness center, library/computer room, social calendar. MLS#2082254. Realty ONE Group, Inc.
Arbor Gate - Check out the 3D tour. Welcome to your new Home! MLS#2081939. Simply Vegas. Centennial Park - Easy access to major shopping area and freeway. MLS#2082178. Keller Williams Market Place. Belmont Terrace - Great freeway access to both the 15 and the 215, lots of restaurants, shopping, Nellis AFB, Apex and more. MLS#2081878. Keller Williams Realty Las Vegas. Aliante North - Beautiful 2 story home in gated community 5 Bdrms 3 and 1/2 bath Valuated ceilings, large spacious kitchen Granite Counter extended; butlers Pantry Double Oven Formal Dining Room, spiral staircase 20 inch tiles Covered Patio Great Room Fireplace MLS#2081301. Keller Williams Market Place I.
Allen Ranch House - Home is very close to Aliante, dining, shopping, freeways,& VA hospital MLS#2081861. BHHS Nevada Properties. 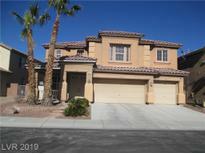 Cove At Aliante - Close to shopping, parks, VA Hospital, Nellis and Creech. MLS#2082032. Coldwell Banker Premier. Ann Losee Village - Two-story 4 Bedroom With A Large Loft, 2.5 Bath Home In Beautiful North Las Vegas, 2 Car Garage, His And Hers Sinks, Separate Tub And Shower At Master Bath, Granite Counter-tops And Breakfast Bar At Kitchen, Patio, Blinds, All Appliances To Convey, Sellers Home Warranty Coverage With American Home Shield Is In Place**see It Today, Will Not Last Long** MLS#2081347. Keller Williams Market Place I. Includes use Aliante Comm Club House, Pool & Tennis No SIDS/LIDS! MLS#2081290. Love Local Real Estate. Centennial Park - Easy Freeway access and shops near by. Schedule a showing today. MLS#2081380. Nationwide Realty LLC. Nelson Ranch - Don't miss out on this incredible home! MLS#2081564. Urban Nest Realty. Cheyenne Ridge - RV parking & upgraded almost new AC unit to boot! Start packing! MLS#2080922. Rock Realty Group. Cove At Aliante - Beautifully maintained single story home, great room concept, vaulted ceilings and remodeled kitchen with a large breakfast bar, solid surface counters, pantry, nice breakfast nook, recently painted, 4 bedrooms plus 18x10 den, tile throughout all living areas except bedrooms, large covered patio, nicely landscaped, gated community with low HOA fees in a beautiful master planned community. MLS#2080691. King Realty Group. Nelson Ranch - The home has tall vaulted ceilings, open concept, and emphasizes indoor/outdoor living. MLS#2081164. Urban Nest Realty. Centennial Bruce - * Open And Airy Kitchen With Breakfast Bar *two Car Garage With Convenient Upstairs Laundry Room* Community Park. MLS#2081037. Century 21 Americana. Casa Del Norte - Desirable Non HOA Community, Close To Regional Park, Restaurants, Shopping & Medical! MLS#2080273. Windermere Prestige Properties. Casa Del Norte - Great curb appeal with bright green lawn! ! MLS#2080104. Allure Realty Group LLC. Arroyo Grande - Updated bathrooms. Large backyard with desert landscaping. MLS#2080757. Desert Vision Realty. Sun City Aliante - Community Features: Indoor pool and spa, library/computer room, tennis courts, fitness & Social Calendar MLS#2080238. Realty ONE Group, Inc.
Sun City Aliante - Garage floor epoxy finish. Exterior painted 2018. 12x40 patio MLS#2079932. Reiss Properties.